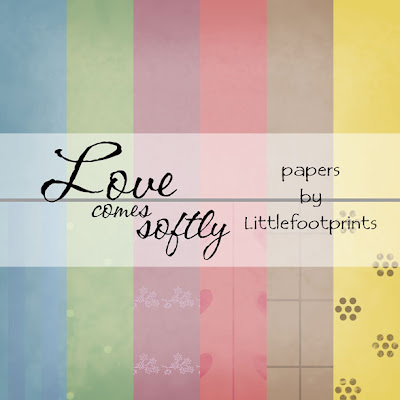 Here are some papers inspired by "Love Comes Softly". I wanted them to be soft colors, looking like favorite, well-worn cotton materials that might have been worn in the late 1800's to early 1900's, kinda "Little House on the Pairie" style. Each color is in solid, with a softly patterned pattern paper to match.